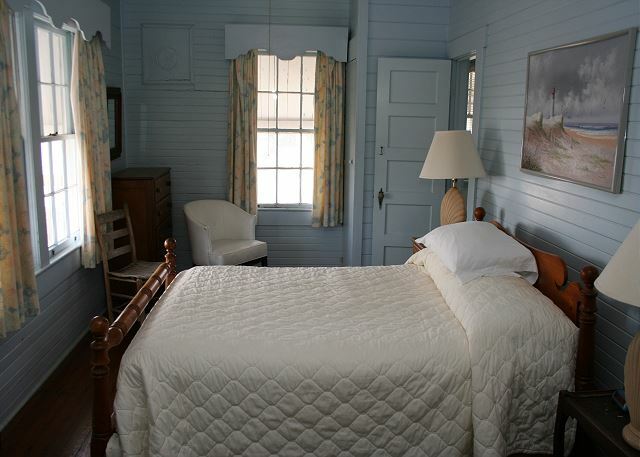 Built in the 1930’s the Thornton Cottage will bring back fond memories of a youth spent on the island. We have proudly been representing the Thornton Cottage for over 40 years. If you are trying to find that relaxing place that you can leave the hustle and bustle of the modern world behind, then this part of Saint Simons and the Thornton Cottage are just the place for you! 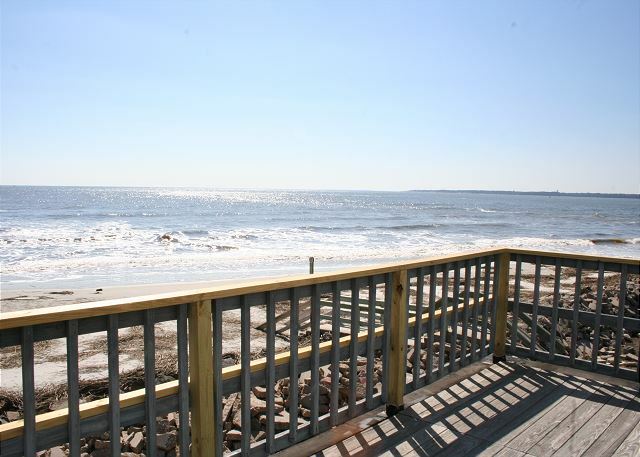 Sit on the second floor balcony and take in the full view of the Atlantic Ocean and Jekyll Island while watching the waves crash right below you or sit on the screened porch with a swing off the living room and enjoy the breeze from the ocean and the great view. Ground floor has living room, dining room, kitchen, one bedroom with two twin beds and a full bathroom with tub/shower combo. 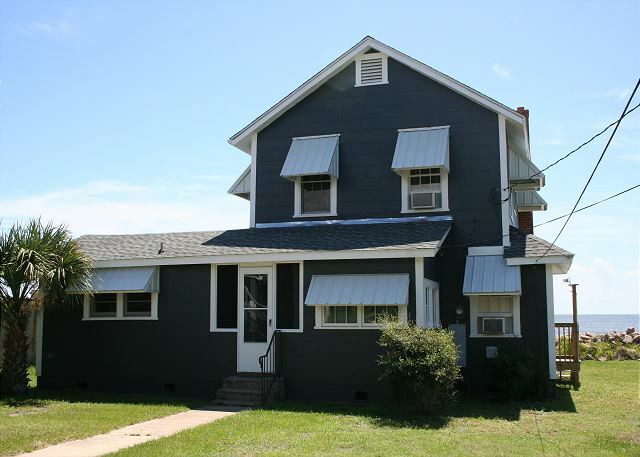 The second floor has two bedrooms, one with two double beds and one with one double bed. There is a Jack and Jill style bathroom and access to the second floor deck. While leaving the modern world behind can leave some a bit nervous, never fear, this house is equipped with WiFi, cable, and HDTV in the living room. Additional cleaning fee of $260.00 If you need an extra bedroom the Guest Cottage is available to rent alongside the main house. Rates range from $150-$200 per night, $600-$800 per week and $1,300 - $1,500 per month. Interesting cottage. Old, rustic and cute and efficient. Enjoyable time spent on St. Simons Island. Access to the ocean was a plus. 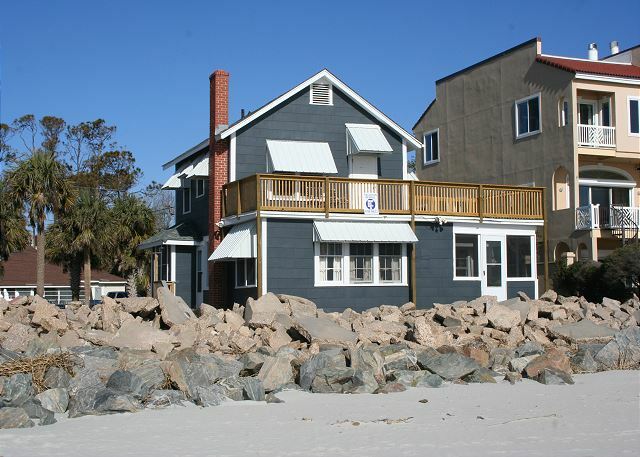 I would recommend Golden Isles Realty to anyone with realty needs. They are so very friendly, cooperative and " go the extra mile" to find whatever property is best for individual needs. A top rated company for sure. We enjoyed being right on the beach. It was a great experience.